Why: A fascinating story of how successive waves of entrepreneurial activity have shaped the story of the world’s largest fresh water lake. Memorial Day has just come and gone. We have now entered the season when conversations about weekend activities tend to center on trips to “the cabin,” a place of nostalgic simple pleasures located “up north.” What better way to start the season than to pass a few pleasant hours with the mother of all lakes up north, Lake Superior? I did just that—without even getting in my car—when I picked up Norman Risjord’s Shining Big Sea Water. But even more intriguing is the economic story, which begins with animal pelts, proceeds through mining and fishing, and carries through to international shipping in the present day. Each point in the story is punctuated by entrepreneurial activity. 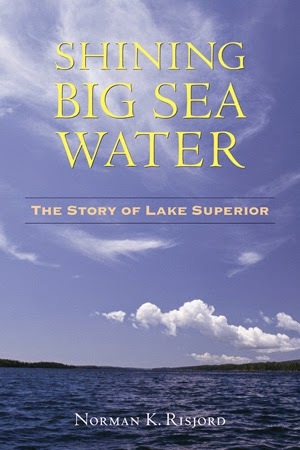 From the voyageurs to the mining companies, the story of Lake Superior is, from this perspective, the story of successive revolutions in entrepreneurial activity. A perfect book—with plenty of food for thought—for a lazy day up at the cabin. This blog provides links to other Internet sites that are not maintained by entreVIEW or Gray Plant Mooty. Neither entreVIEW nor Gray Plant Mooty are associated with those other Internet sites, and they are not responsible for the content on those sites. Gray Plant Mooty entreVIEW Blog Copyright 2011. Powered by Blogger.